That’s 288 Files complete with this pack! 70 Massive patches and over 150 wav sample Bring life and verity to your EDM Tracks!! We took extra special care of every sound in the pack so that each has its own unique sound. This pack is a steal. Most sound packs come with 50 sounds, no drums and extra care taken to assign all the macros that change the sound drastically. This one comes with 70 sounds MIDI (To help give you a good starting point for your song) and drum samples! 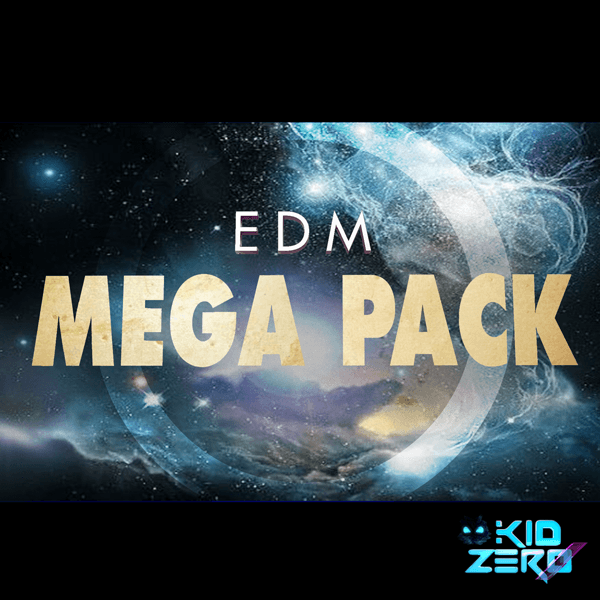 Without a doubt, EDM Mega Pack works perfectly with Progressive House, Electro house, Main Room, Big Room, Dubstep, Complextro, Ambient, Down Temp and pretty much anything you could want to create electronically. This game is about creativity so if you have an imagination these sounds will achieve what you are looking to create. You will be surprised how many different tones you can get just out of one sound. You’ve never had more fun tweaking the macros then you will with this pack!! We’ve also included tons of bonus items to help you feel even more inspired. Don’t miss out on purchasing this pack and taking your tracks to the next level. Like what you see? Check out EDM Mega Pack Vol. 2 for even more dope sounds!